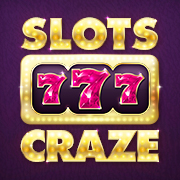 Welcome to the Slots Craze World! The goal of the game is to spin it up in our various machines (we release new ones every few weeks!) and level up to unlock higher bonuses, more machines (we have OVER 90 to choose from!) and cool features! You can find Game Rules in every single machine in the bottom left corner inside the machine itself. Anything else you may need to know about a machine! Explore the rest of these articles to understand how to regularly collect Free Coins, how to complete missions, compete, and enjoy Slots Craze to the fullest! ITS NOT GIVING ME MY MONEY FROM THE FAN PAGE !! Where can I play? Which Platforms are supported? My Free Spins/Bonus Game was interrupted, frozen or I lost it!